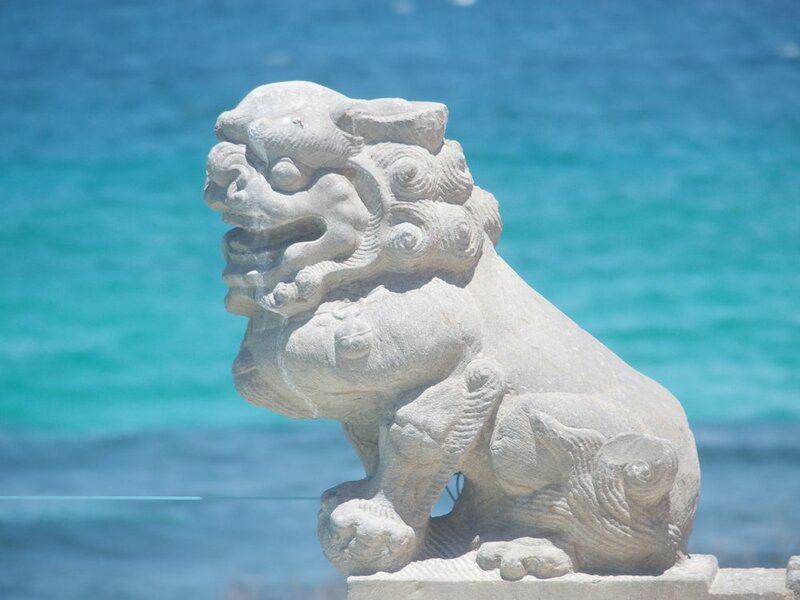 Nestled on the waterfront in dazzling Lime Kiln Bay, Sleeping Dragon Hill boasts breathtaking seascape views accented by a luxurious fusion of classical Chinese and Caribbean architecture and interiors. Six pavilions set in five acres of landscaped gardens and connected by coral walkways offer comfort, intimacy, space for private moments to read and relax, and outstanding venues for waterfront entertaining. Available in a six bedroom configuration, or in a four bedroom configuration, as specified under reservations. The peace and tranquility of this private compound are yours to balance with beach picnics, snorkeling, tennis, horseback riding and island exploring. Invite friends for cocktails or dinner poolside. Dance by the light of the moon as the bay glistens and the clouds glide through the starlit sky. Watch your favorite movies "big screen" in the main hall. For those wishing to explore, there is a pristine reef just offshore, great for snorkeling and boogie boarding, and secluded small beaches, both accessed by a short scramble over the stone beach, sea conditions permitting. World famous Macaroni Beach is five minutes away by car or by a shorefront walk around the point for the more adventurous.